Global climate change is a frequently and controversially discussed topic. Yet apart from natural disasters that tend to be interpreted in any number of ways to serve vastly differing interests, it has so far hardly been a tangible phenomenon in our day-to-day life. The Climate Garden experiment enables the experience of climate change’s consequences firsthand: It shows how the vegetation of a place might change in the future, what we may be eating, and what our gardens might look like. The experiment is conducted based on detailed climate scenarios that can be translated to different locations around the globe. This new book serves as a manual for the implementation of such a public experiment on a local or regional level anywhere in the world. 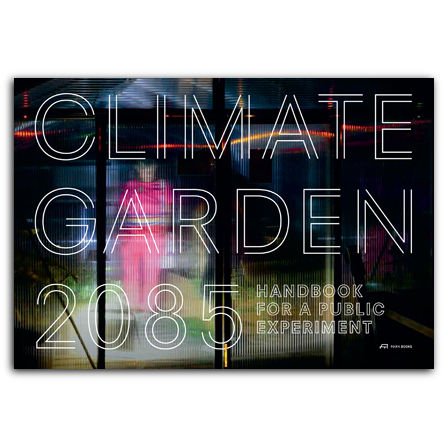 Contributions by human geographers, art historians, and ecologists are complemented by a practical step-by-step guide to creating a climate garden. It provides a tool for private and public institutions to tell their own story and in particular to add a personal and emotional dimension to the largely abstract climate scenarios we usually learn about in the media. With contributions by Manuela Dahinden, Katie Horgan, Christoph Küffer, Melanie Paschke, Juanita Schläpfer-Miller, Emily Eliza Scott, and Caroline Wiedmer; and with photographs by Nina Mann.